Since 1948 when the first national Stoke Mandeville Games were held, setting the precedent for International and Paralympic Games, athletic has undergone a constant process of evolution, both in terms of records and participation. 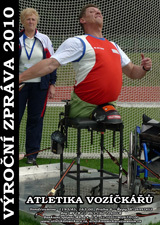 Javelin, Shot and Club were the first events. 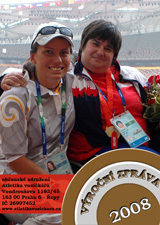 In 1960 field events for women were included in Games for the first time and in 1962 discus was introduced to the programme.The first "track" event was the 60 metres Wheelchair Dash, by the 70´s the distances increased rapidly and now the programme includes distances from 100 metres to the full Marathon for both men and women. In this sport the records achieved by the athletes are considerable. The Swiss athlete Heinz Frie completed the 5.000 metres in 10 mins - 23,66 seconds more than a minute under record set by Said Aoulita. Philippe Crouperie from France completed a Marathon course in 1 hour, 29mins and 53 seconds. Historical precedence was set at the 1984 Olympic Games when wheelchair racing was part of the exhibition programme. 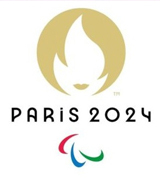 The Olympic Games have continued to recognise Paralympic athletes trough exhibition events in the Olympic Games in 1988, 1992 and 1996. Ludwig Guttmann, a German refugee and neurosurgeon, was asked by the British Government to set up the National Spinal Injuries Centre at Stoke Mandeville, Aylesbury, Enbland in February 1944 and introduced sport as part of the rehabilitation of his patients. In those early days days sport was part of the treatment, thought by Guttmann to provide a natural form of remedial exercise and to restore activity of mind and self confidence. However "Sport for the Disabled" has become much more than a form of therapy. Alongside the mental stimulation and improved self image the physical benefits of sport enhance the dignity, self discipline and competitive spirit of the participant while at the same time providing excellent social opportunities for life. Guttmann, who became known as the "Father of the Paralympics" was saluted by Pope Paul XXIII who compared him to the founder of modern Olympics, Baron de Coubertin, declaring " You are the de Coubertin of the paralysed ". In wheelchair racing, there are strategies employed that are similar to bike or car racing. Being out in front has advantages because the athlete can control the pace of the race and occupy the inside lane position. Any racer wishing to pass must use precious energy to swing wide. Staying behind another wheelchair racer also has its advantages, because drafting off the racer in front conserves energy. Blind athletes are allowed to the acoustic signals and guides to assist them when they are running. In the jumping events, a coach can give verbal cues to tell the athlete where the take-off board is. Guides will either run beside the athlete giving verbal directions, or the guide will run with the blind athlete sometimes using a tether between them. The guide must be even with , or behind the athlete they are running with, a disqualification results if a guide runner finishes ahead of the athlete. Athletes with all disabilities compete. An integrated classification system is used with spinal cord injured, amputees using wheelchair athletes. Amputee athletes may also compete in the ambulatory classes. Athletes who are blind and athletes with cerebral palsy compete within their own distinct classification systems. Track : 100m, 200 m, 400m, 800m, 1500m, 3000m, 10000m, Marathon, 4x100 relay, 4x400 relay. The extent of the disability is represented by an evaluation which tests function and strength of the muscle groups. Function and muscles strength are represented by point values for each class. Technological advances in prostheses and wheelchair design have enabled athletes to improve techniques and straddle to reduce their times. Wheelchair races can reach speeds of 25-40 mph on the road. Racing wheelchairs and prosthetics are often composed of carbon fibre and other light-weight materials. Who post times near their Olympic counterparts. At the games in Barcelona, single-arm amputee Ajbola Adeoye from Nigeria ran the 100m in 10.72 s - 0.87 s behind Leroy Burrell´s 1994 world record time of 9.85 s. Double-leg and arm amputee Tony Volpentest ran the 100m in 11.63 seconds. The world of sport for people with a disability. In 1974 wheelchair racer Bob Hall took 2 hours and 54 minutes to complete a marathon race. In 1994 Heinz Frie finished the Boston Marathon with a time of 1 hour, 21mins and 23 Seconds.